Driver Steals Truck When He's Intoxicated, Turns Himself In, LIVINGSTON, September 8, 2015 - At approximately 2:45 pm on September 4, 2015, Trooper Donny Akers with the Texas Highway Patrol was entering the Livingston DPS Office parking lot when a 2004 Sterling fertilizer truck entered the same parking lot. The driver spoke with Trooper Akers and informed him that he had stolen the vehicle he was driving at around midnight on the same date from within the City of Lufkin. The driver was identified as Thaddeus Woods, 37, of Lufkin. Woods informed Akers that he was intoxicated at the time when he stole the vehicle and wanted to return it. 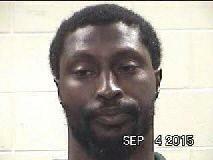 Akers placed Woods under arrest and charged him with unauthorized use of a motor vehicle (felony). Akers notified the Lufkin Police Department and informed them that the vehicle that had previously been reported as stolen had been recovered. The fertilizer truck was picked up by the owner at approximately 5 o’clock the same day at the DPS Office in Livingston.